Baby, it’s cooold outside. I’ve had that song stuck in my head all morning. But at least it bumped the other song that had been stuck in my head since last Friday. At 6am the thermometer reads 0°F. That is way below normal for this region. There is so much beauty in winter. I love winter. I hear a lot of grumbling from people that are sick of snow and tired of cold. I don’t like being cold, but I love the cold. And snow and ice and frost of all sorts are just so beautiful. 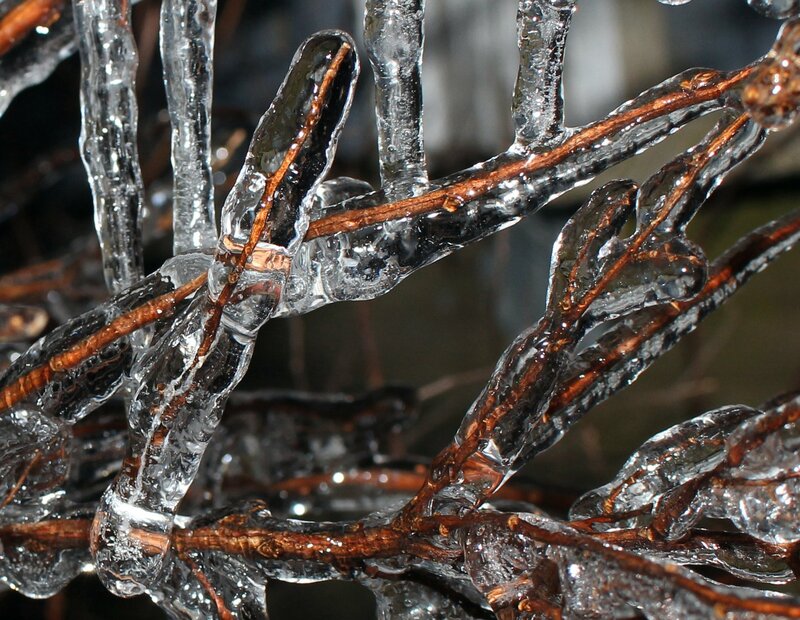 The photo above is ice formation on a spirea shrub. I happened to spot it late last night when I took the dog out for a very quick walk. I hope you are finding and enjoying some beauty in this winter season. This entry was posted in Uncategorized and tagged cold, dog walk, icy, winter on February 18, 2015 by elizabeth. I agree with you regarding Winter. I don’t like when it is bitter cold but there is a beauty in it. Well, I will say within reason but now I am ready for Spring.